When it comes to making your phone truly your own, using custom ringtones is a must. 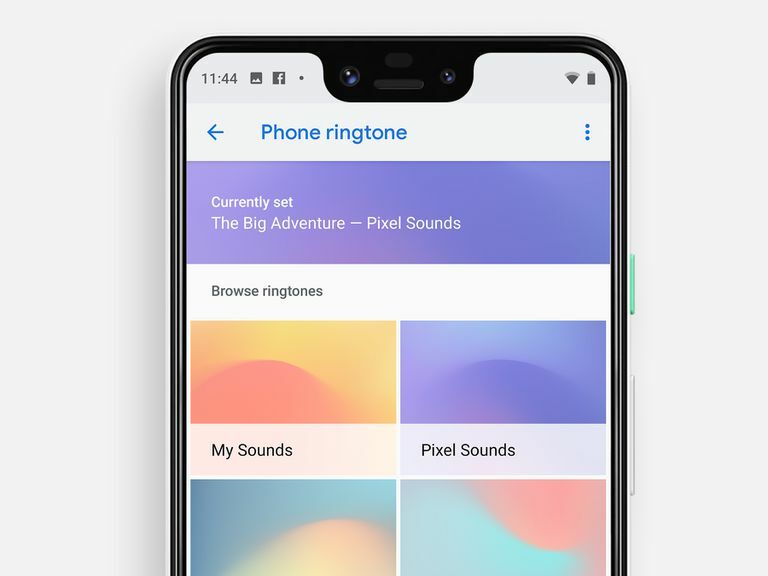 Whether you choose one ringtone for all your incoming calls or set a specific tone for every caller, the Android operating system has all the power and the flexibility you need. The instructions below apply no matter who made your Android phone: Samsung, Google, Huawei, Xiaomi, or another manufacturer. In some models, such as the Samsung Galaxy Note 8, there is no Okay button to press. Simply press the Home screen button and go about your day. From the home screen, press the Menu key and then choose Settings. Scroll through the Settings list until you find the Sound option. Press the Sound option to bring up a list of settings that you can adjust based on your preferences. Select the Phone Ringtone option. This could bring up a dialog box that asks you if you want to use the Android System or your stored music to assign your ringtone. For sake of this example, select Android System. Select one of the available ringtones to hear what it sounds like. When you find one that you want to use as your default ringer, press Okay to save the selection. A Samsung device has a little different path to get to the ringtones. Launch the Settings app, then tap Sounds and vibration. Find Ringtone in the list and tap it. Choose the ringtone you want to set for your phone (you'll hear a sample of it when you choose each one). Finally, tap the back arrow at the bottom of your screen and the new ringtone will be set. You can tap the Home button to dismiss the Settings app. If the stock ringtones don't offer the level of customization you want, go to Google Play and do a quick search for ringtones. The search results include many apps — some paid and some free. ZEDGE Ringtones & Wallpapers: Make your phone a conversation starter with the free ringtones in this app. It also includes notification sounds, app icons, alarms, and free wallpapers to customize your device. You can download and use a high-quality ringtone for each member of your family or for each of your friends. Categories include rock, rap, and country, plus classic ringtones and sound effects. Assign the ringtones to individual contacts from within the app. RingDroid: This app allows you to use a song in your media library, select up to 30 seconds of the song, and create a ringtone from it. It takes a little while to get used to the interface and the operation of the app, but once you've made a few ringtones, you'll find that the process is easy and effective. If these two apps do not give you the level of customization that you want or if you want a specific set of ringtones, keep scrolling through the search results in Google Play until you find something you like. Android makes it easy to assign custom ringtones to personalize your Android phone and get rid of that annoying "droid" sound every time your phone rings. With the Android market having so many ringtone apps available, there is no reason you should have old-fashioned ringer as your default ringtone.